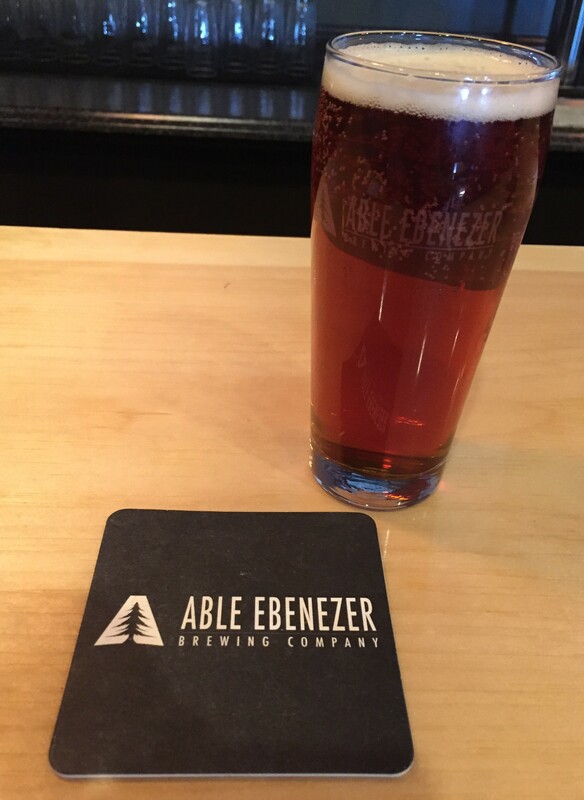 Able Ebenezer Brewing Company, Merrimack, NH – Breweries, Wineries and the fun in between! 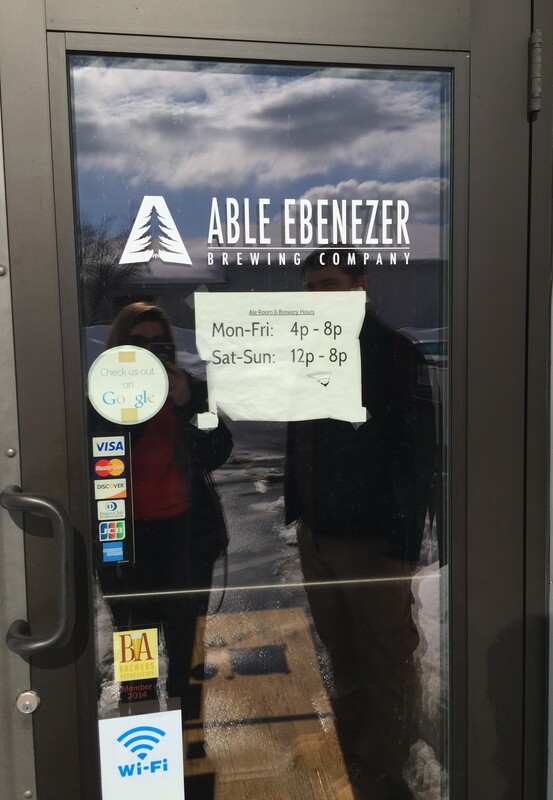 We recently visited Able Ebenezer Brewing Company in Merrimack, NH. 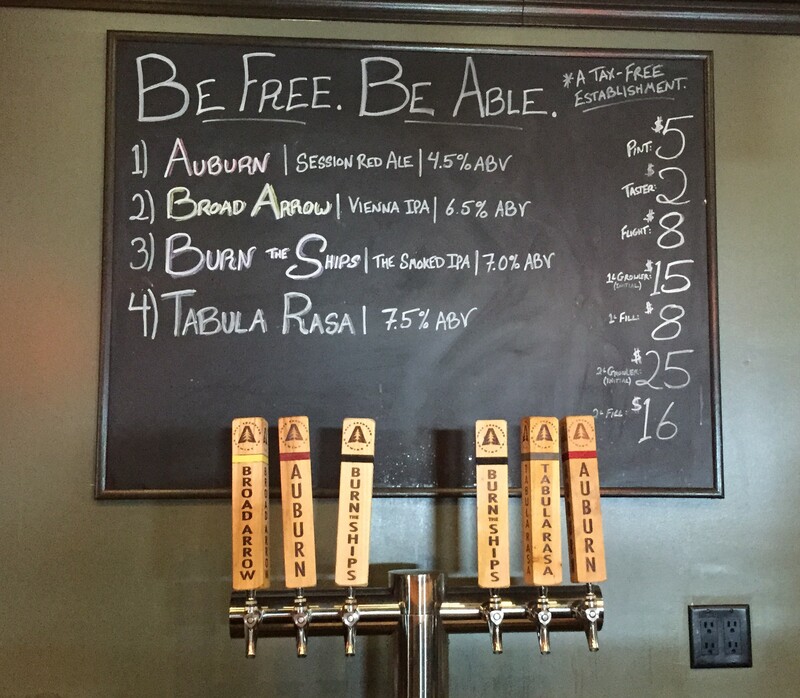 The brewery was opened in the summer of 2014 by a pair of former US Army Officers. 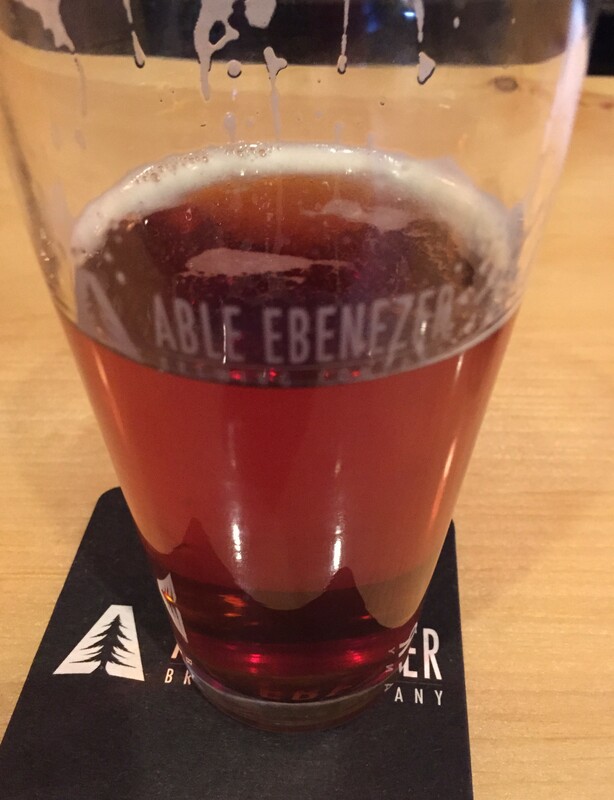 Their name and branding is inspired by the Pine Tree Riot, when New Hamsphire citizesn rallied behind Ebenezer Mudgett against the British in 1772. 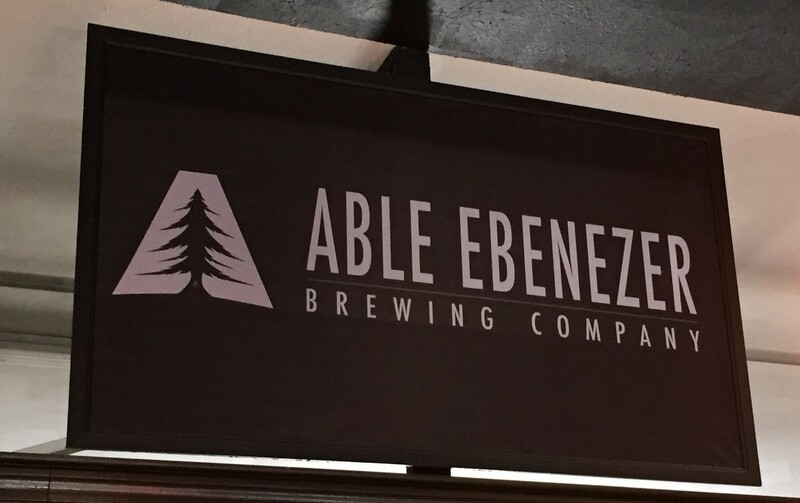 They have a lot of info on their website as well as depicted in the brewery about Ebenezer Mudgget and the Pine Tree Riot. The pine tree is used is their branding and actual pine wood is used throughout the bar. 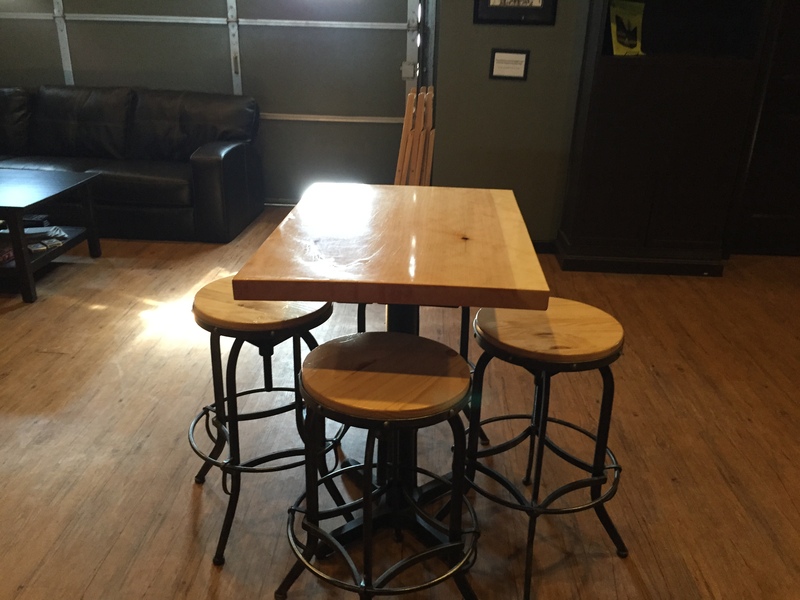 They have a long live edge bar made from a large pine tree, and the sections they cut off the end they turned into small tables. Mike, the Head-Brewer and co-founder of the brewery, was working the tasting room for our visit. 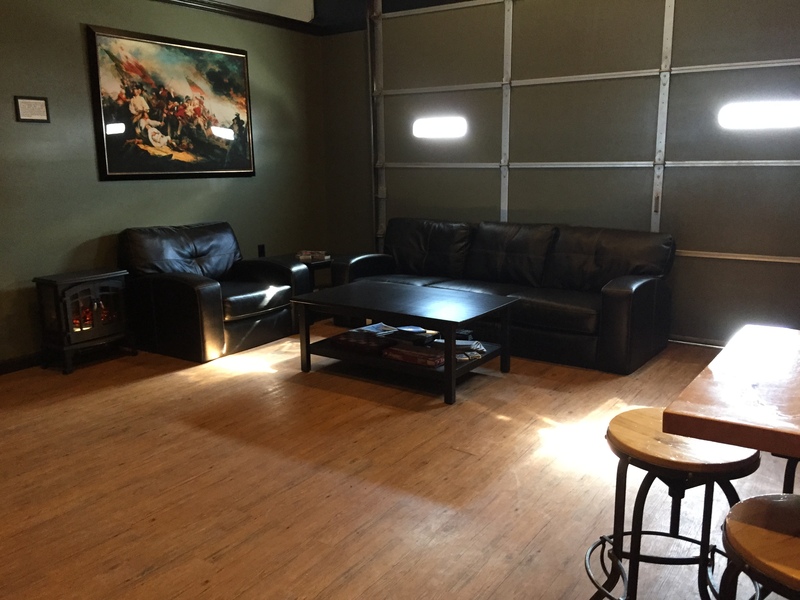 We appreciated the fact that the brewer was in the tasting room, since, as that day was as well, you are often able to learn more about the beers and the history of the brewery. 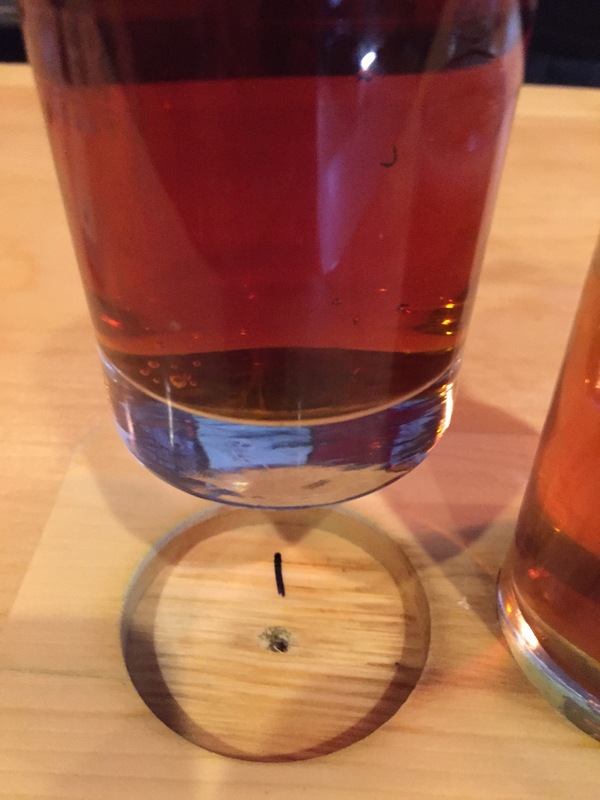 The tap handles are custom made from pine as well. We both ordered a sample tray, which was $8, they had 4 beers on tap when we visited. A light, session ale, very drinkable. Light in body but still has some flavor to it. We both liked it. A bit lighter and slightly less hoppy in flavor than other IPA’s. 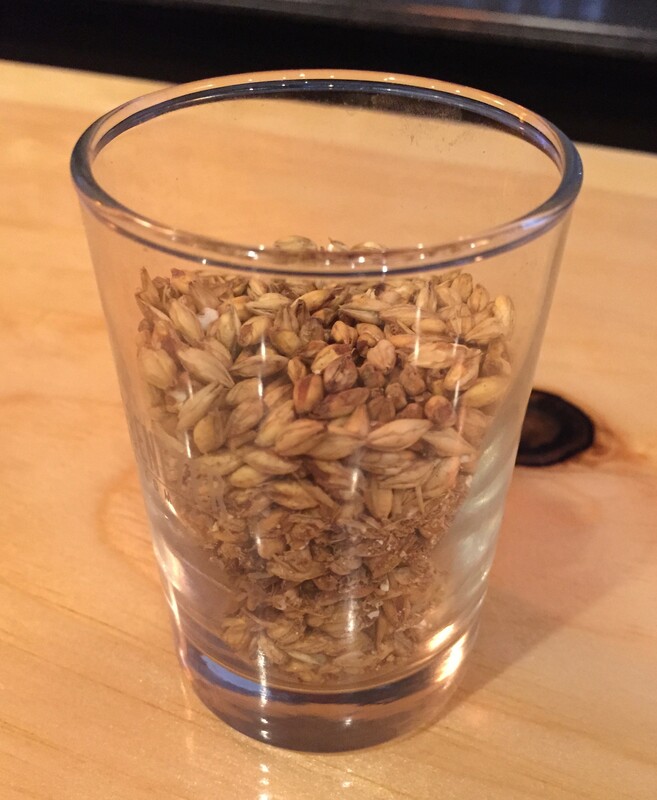 Made with Vienna malts that add a little extra flavor to this beer, a little bit sweet. Very smoky taste up front. It is a fairly hoppy IPA, but the smokiness cuts back on the bite a little bit. Really good flavor. They use cherry smoked malts to get the smoky flavor, but of the grains in this beer, only about 10% are the cherry smoked. They sell pints as well, and we both got a pint of Burn the Ships after the tasters. The smokiness does fade a little bit as you get use to the flavor, but it doesn’t disappear, it is still there and a part of the flavor. This is probably the best ‘smoky’ beer that we have had, and yes, we have had quite a few. 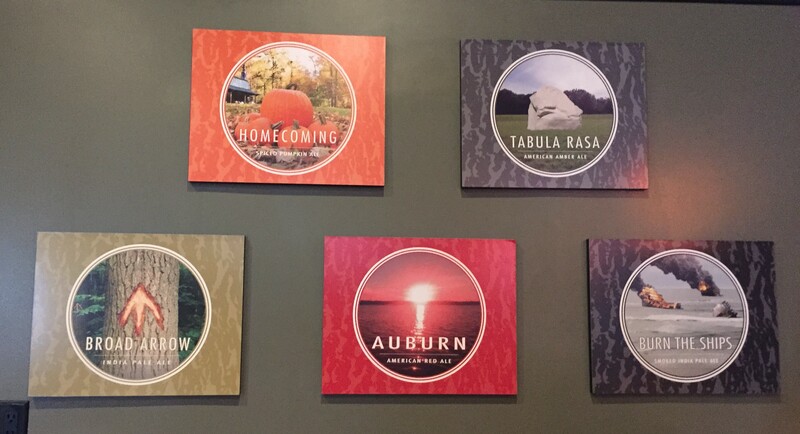 Tabula Rasa means blank slate. It is technically a fruit beer, but they don’t like to label it like that, some people look down on fruit beers. They use apricot as the fermenter. 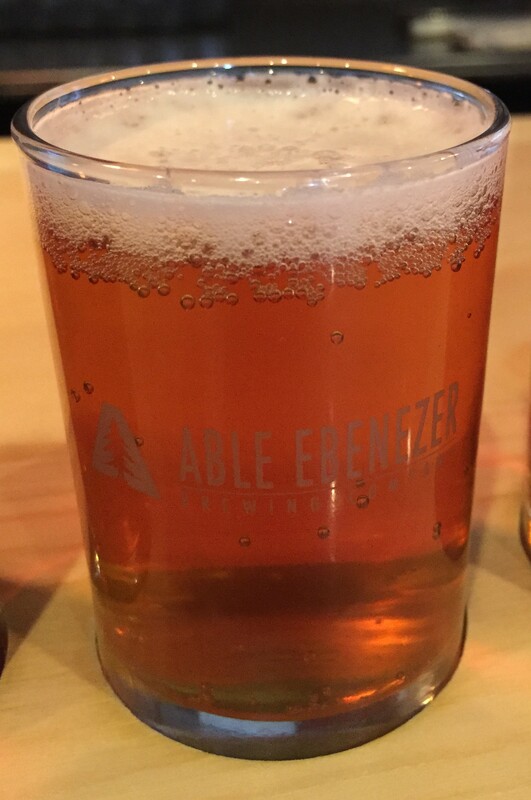 It is smooth and flavorful, a bit heavier for a ‘fruit’ beer, not a light summery beer. The paddle is numbered to correspond with the blackboard, so you don’t get confused. 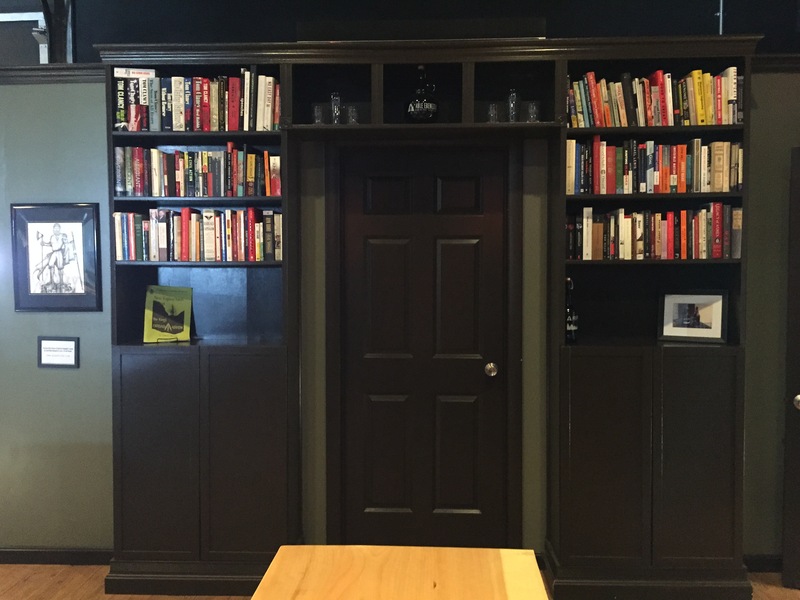 They have a good size tasting room, and they serve pints, so it is a good place to go and hang out and drink some good beers. It was a little quiet when we were there on a Sunday mid-day, but we were happy they were open. They said the room does fill up on a Friday or Saturday night. We had a good time, enjoyed the beer and learned a lot about the brewery and the beer while there. 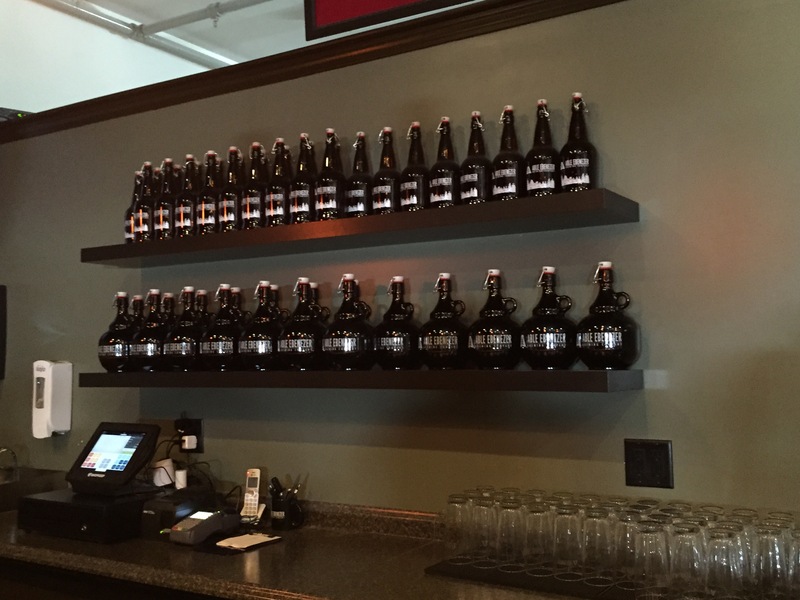 They currently do not bottle their beer, but you can get a growler to go. They self distribute as well. 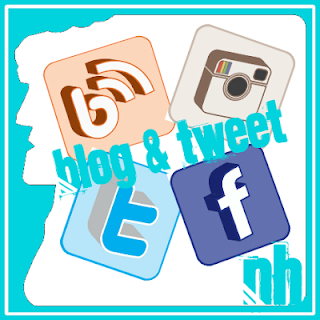 They have beers on tap at a lot of places in Merrimack, Nashua, and some in Manchester. 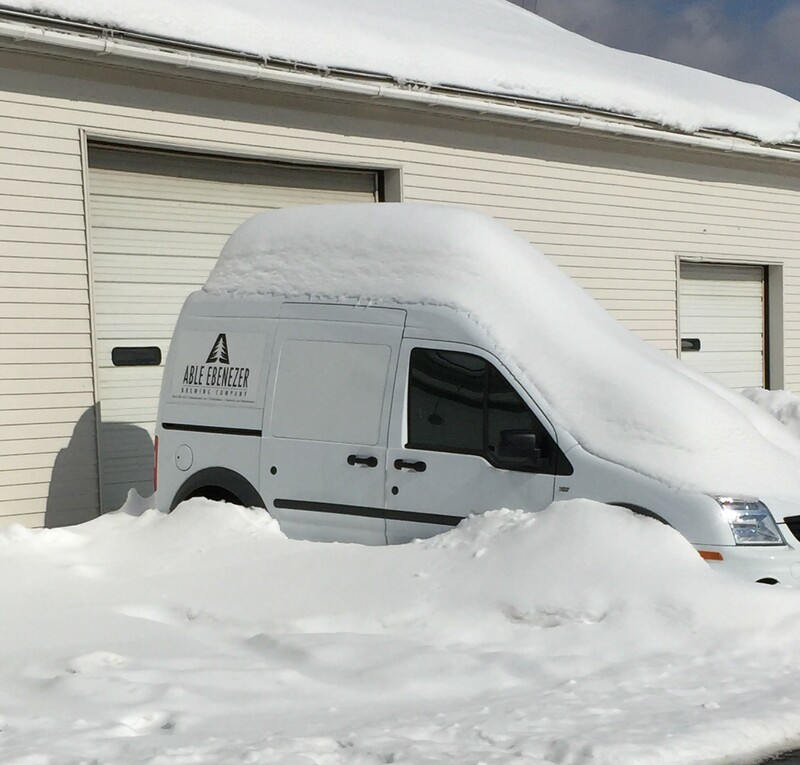 They haven’t made it over to the Seacoast yet, but maybe soon if they can get a few places interested in carrying their beer. 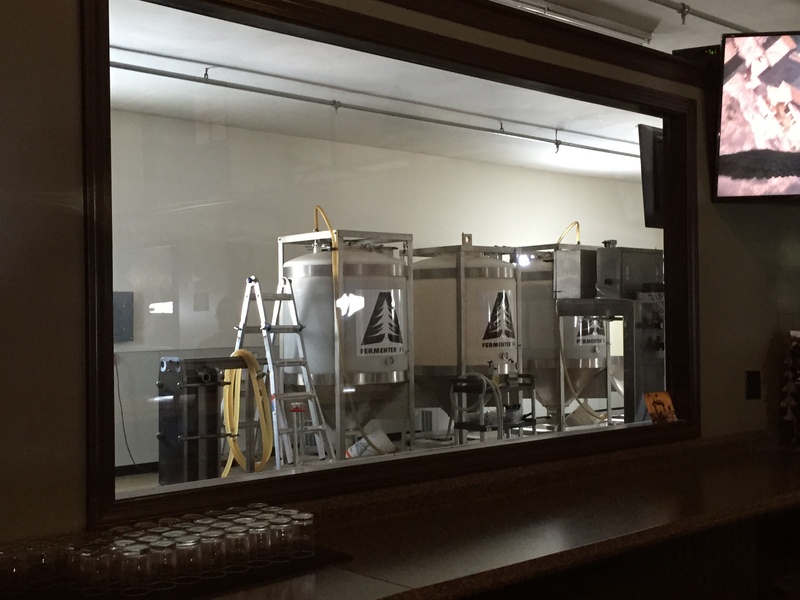 You can see the tanks through a window behind the bar. They put together this system themselves.